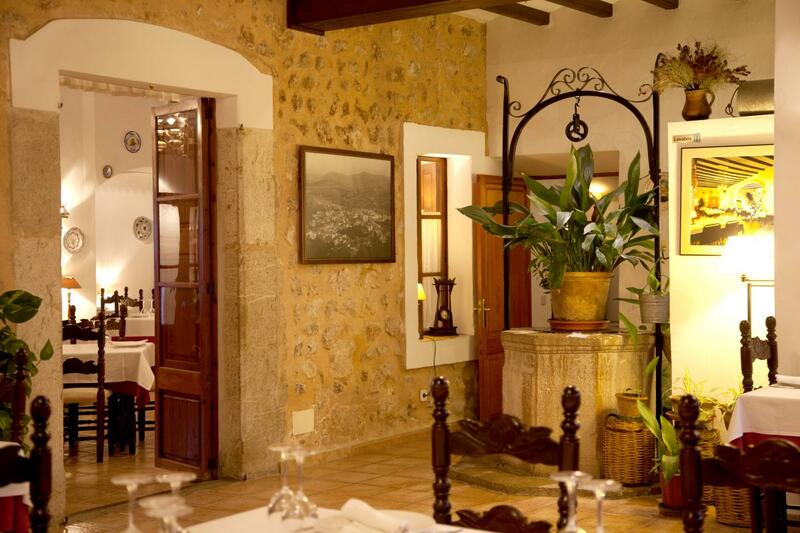 A superb opportunity to own a thriving hotel and restaurant in the heart of Alarò located at the foothills of Tramontana mountains and historic Alaro castle. This charming boutique hotel consists of eight large double bedrooms all with en suite, the rooms are spacious and are well equipped with modern bathrooms. Reception area, various store rooms and utility space. The restaurant is very popular, has three dining areas, inside for approximately eighty covers, a lovely calm covered terrace overlooking the garden and pool for roughly one hundred and twenty persons and a further outer area for roughly forty persons, there is also an event room which was previously a very comfortable and busy bar. The industrial kitchen is well equipped and a generous size at around 60m2 and more than capable of handling the various events hosted and the busy restaurant areas. The pool area offers a relaxed lounging zone for hotel guests, the garden is calm and tranquil. Private parking for guests and more storage attached to the outer area. This is an up and running business with a well-attended restaurant and is available for rent to buy or sale. The hotel has a strong client base and does very well with minimum effort, it is the only hotel in Alaro with a licensed restaurant. The restaurant is busy and has a healthy reputation in the area. Great investment property for the high demand area. For viewings, call us now!